Do we study Daniel and Revelation during the course? Yes. Daniel and Revelation are an integral part of our AFCOE curriculum. Will I learn how to give Bible studies? Yes! You will learn how to write and give powerful, convicting Bible studies. You will also learn the essential skills needed to be a professional Bible worker, evangelist, or an outreach leader in your church. Yes, Pastor Doug teaches AFCOE classes regularly. We also have many other experienced instructors and popular guest lecturers. You don't want to miss it! How many hours per day do we spend studying? Class and outreach will be conducted Sunday through Thursday. In addition, students are expected to attend and participate at their assigned church each Sabbath. The AFCOE Complete Course is an intensive program requiring classroom time, daily homework, and in-the-field training. Is it necessary to have a computer? Yes! We highly encourage every student to have a laptop computer. It will be useful in your assignments and outreach projects. We desire your time at AFCOE to be a life changing, mountaintop experience! Because of this, we ask that no secular, worldly programs be viewed during your time here. What track classes are offered? Receive more extensive training in how to awaken spiritual interest, lead small groups, coordinate bridge events, gain decisions with confidence, and teach an evangelism training class in your church that will equip lay members for successful outreach in your community. Learn how to be an efficient, professional Bible worker. Discover how to clarify your call to ministry, how to understand church dynamics, and be an effective leader of change. Learn how to conduct the special services of a church (dedications, communions, marriages, funerals, anointing services). Those who demonstrate superior ability and desire additional opportunities to preach, will be assigned to local churches requesting an AFCOE speaker on a given Sabbath. In today's fast-paced society, how you present your message is more important than ever. Get ready to learn attention-grabbing techniques in this hands-on media course. You'll learn the ins-and-outs of video production, how to create eye-catching graphics, and what it takes to look and sound your best in front of the camera. Whether you're on the road to becoming a media pro or simply looking to sharpen your presentation, this is the track for you! Are graduates assured a job after graduation? If a student is dedicated and called to full-time evangelism, there are numerous opportunities available to him/her following graduation! Although our graduates are a sought-after commodity, we do not guarantee job placement or a recommendation following graduation. Recommendations are dependent upon the student’s positive, faithful commitment to Christ and to others with whom they interact. Where is AFCOE training located? The AFCOE Complete Course takes place on the campus of Amazing Facts headquarters in Rocklin, California (northeast of Sacramento). How much does it cost to attend the AFCOE complete course? This program costs $5,200. This includes the program fee, field trip, syllabi, outreach shirts, housing deposit, and housing. Transportation, textbooks (approximately $200), and food are not included. There will also be a $350 fuel charge if you do not bring your vehicle. Applications postmarked 60 days before the opening day of class will receive a $75 discount on tuition fees. A “buddy” discount of $150 each is awarded to students when two or more apply together. This can apply to family members or friends but must be indicated on the application when submitted. AFCOE does have a limited amount of funds available for scholarships each semester. We also encourage students to contact their church and their friends for support. Often their home church will assist if the student plans on returning and using the tools they gained at AFCOE to empower their local church. Remember, with God all things are possible! Please contact our registrar for the scholarship application form and/or for a sample fundraising letter after your application has been accepted. All cancellations must be made in writing and sent to Amazing Facts by mail, fax, or e-mail. Cancellations received 30 days prior to the opening day of classes will receive a full refund. Refunds requested after this period through the first 15 calendar days of the class program will receive a 50 percent refund of tuition only. There will be no refund for housing. There will be no refunds for cancellations after this 15-day period. Will it be possible for me to work during the complete course to help meet expenses? Because of the intensity of this course and the time required, students are unable to work while enrolled. A payment of $2,200 must be received 30 days before the start of the program. If payment is not received, we cannot guarantee you a bed in AFCOE housing. The balance of program fee is due two weeks before the start of the program. Can I give a donation to help a worthy student attend AFCOE? Yes! To give a tax deductible donation to the general AFCOE scholarship fund call (877) 506-1751. To give a donation for a specific student, which according to IRS regulation is not tax deductible, please contact us at 916.209.7249. Do I need a car to attend the three-month course? Students are responsible for providing and maintaining their own transportation. We strongly encourage each student to bring a vehicle. If you are unable to bring a vehicle, it may be possible to be teamed with another student who has one. If you do not bring a vehicle, you will be charged a $350 transportation fee which will be payable at registration. The $350 fee is collected from students without cars and then distributed amongst drivers. Although each student is ultimately responsible for their own gas, this policy exists to help offset the fuel costs of those who bring their own cars. What are the accommodations for AFCOE? Housing is provided for the AFCOE complete course, but students will need to provide their own meals. Housing will be in a furnished apartment in Rocklin or Roseville for our onsite AFCOE programs. You are asked to share a bedroom with one or two other people. Please bring your own toiletries and linens, including towels and bedding for a single bed. Gas and electricity have been covered in your housing fee. Internet access will be available in the AFCOE classroom. If you would like to have Internet access in your apartment, you and/or your roommates will be responsible for this cost. If you wish to rent your own apartment and pay the additional expenses for the pet, you can bring your pet. Please plan to pay approximately $1,500 per month if you bring your pet. Pets are not allowed on the Amazing Facts campus, in the classroom, church, or to accompany you on outreach. It is preferred that you arrange other accommodations for your pets. Although children cannot accompany you during class hours, it is possible for your family to live with you in a nearby apartment. If you would like to bring your family, please contact us for information about family housing options and costs. We ask that you maintain a quiet, studious atmosphere conducive to spiritual thoughts and in harmony with Christian principles. In order to best meet the needs of our program and promote Christian development, we do not allow televisions in the apartments. If you wish to listen to music, please get the consent of your roommates. If necessary, use headphones or keep the volume low. Moreover, all music needs to be in keeping with Christian standards as set forth in Philippians 4:8. Music classified as Christian rock or rap is not appropriate. Do I need to be baptized to come? Due to the intensity of this course, AFCOE only accepts applicants who have been baptized for a minimum of one year. However, exceptions may be made on a case-by-case basis. Please contact us for more information. Do I need to be a Seventh-day Adventist to attend the three-month course? Prospective students must be baptized members in good and regular standing in the Seventh-day Adventist Church so that they will have the foundational Bible knowledge necessary for this program. What is AFCOE's relationship to the Seventh-day Adventist Church? 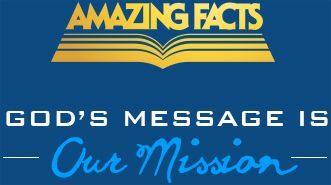 Amazing Facts is an independent "supporting ministry" of the Adventist Church. It is listed in the official Adventist Yearbook and works closely with church leadership around the world. Amazing Facts does not receive funding from the church or local conference. I live in another country and can't afford to come to the Unites States for training. What should I do? First pray. If God desires to make a way for you to attend AFCOE in America, He will. Currently, part of our AFCOE strategy is to expand and offer coursework in several locations around the world. We now have schools in the United States, England, India, Germany and the Philippines. See our website under 'Global AFCOE' for more information.